Don’t let chillier days stop you from playing the game of golf! With fall just around the corner, you may want to begin stocking up on some new fall apparel and accessories for the course. When shopping for warmer apparel, it is important to think about layering, wind and/or water resistance, as well as a hat to keep your head warm. Here are some of our favorite Nike pieces that you can benefit from while playing in the fall. 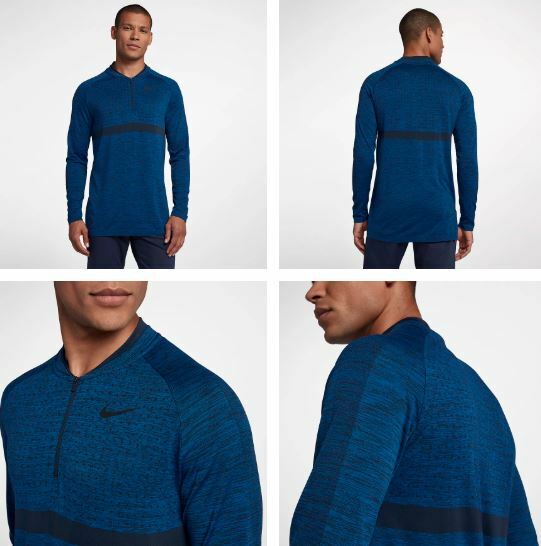 Nike’s Dri-FIT Half-Zip Golf Top is available in a variety of colors, including Wolf Grey, Gym Blue, Burgundy Crush, Obsidian and Light Carbon. This long sleeve top is created out of a stretchy fabric that features sweat wicking technologies so that you can stay comfortable, and dry, during your game. The collar is streamlined to lay against your neck and not distract you, and the top is extremely lightweight and flexible, to not interfere with your swing. This top is created out of 63% polyester and 37% nylon and is a must-have! For pants, check out Nike’s Flex Essential Golf Pants, which are available in black, gun smoke, light bone, obsidian and white. 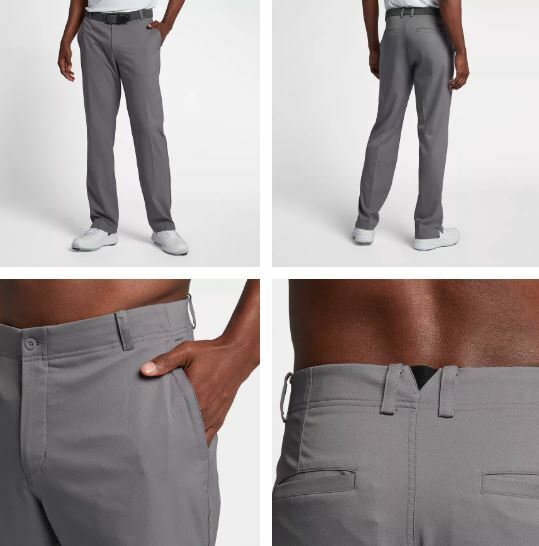 These pants are created out of a stretchy fabric that will move along with you throughout your game. By wearing pants that are flexible, you are allowing for your body to have a better range of motion, and ultimately a better swing! These pants feature an elastic waist as well as pockets on the sides and the back. These pants are created out of 100% polyester. Don’t forget about your head on the course! 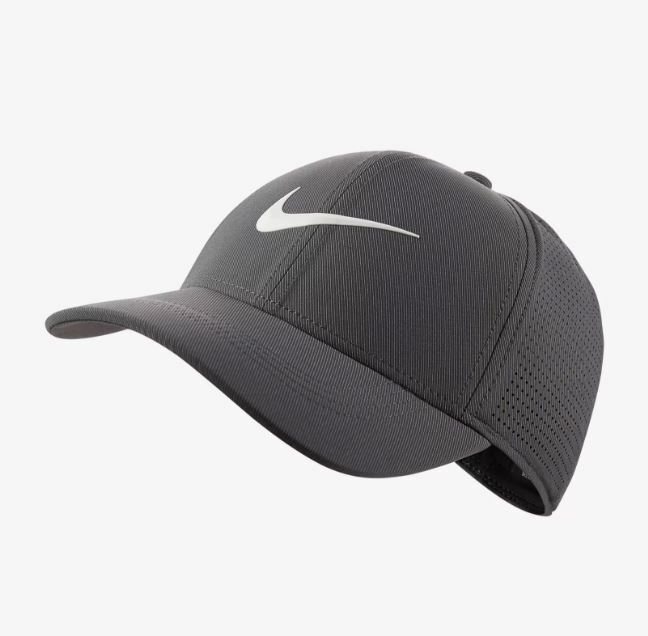 Check out Nike’s AeroBill Legacy 91 Fitted Golf Hat, available in black, gym blue, obsidian, dark grey and white! This hat has perforated panels so that while you’re playing you are as cool and comfortable as can be! The hat’s fitted design ensures that it will stay secure on your head throughout the game, and its lightweight technology offers breathability. This hat is made out of 70% nylon, 24% polyester and 6% spandex. Is Match Play Better Than Stroke Play?